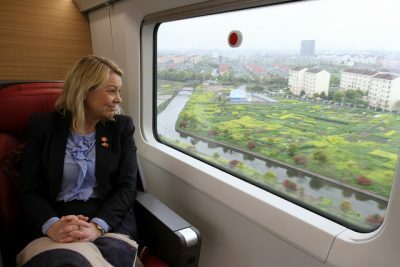 Norwegian Trade Minister Monica Mæland, who just returned from a conciliatory trip to China, was off on another mission to Russia this week, but there the tone was different. Mæland disappointed business and industrial officials when she confirmed that Norway has no intention of lifting its economic sanctions against Russia, at least not yet. “Sanctions against Russia won’t be lifted now, even though there’s dissatisfaction (about that) within Norwegian business,” Mæland told a meeting of Norwegian business representatives at the Norwegian Embassy in Moscow Wednesday evening, according to a report from Norwegian Broadcasting (NRK). That wasn’t exactly what her audience, made up of people keen on doing business in Russia, wanted to hear. Relations between Norway and Russia have been tense on a variety of fronts and especially since 2014, when Russia annexed Crimea and has intervened since in Urkraine. Norway went along with the sanctions imposed by the EU and the US, and that chilled not only political but economic ties as well. Mæland’s trip to Russia marks a thaw of sorts, with Mæland telling NRK that it’s now “correct to take up political connections again.” Fisheries Minister Per Sandberg took part in a fishing industry conference in St Petersburg last summer and Foreign Minister Børge Brende attended an Arctic conference in Arkhangelsk last month, where he also had a meeting with his Russian counterpart Sergej Lavrov. Now it’s Mæland’s tour to meet her Russian political counterpart, Sergej Donskoj, in Moscow after he traveled to Oslo last year for the first meeting of the Norwegian-Russian Economic Commission since the Crimean annexation nearly three years ago. On Thursday the commission would reconvene in Moscow, another sign that political and business connections are picking up again. “This commission’s work is the most important between Norwegian and Russian authorities,” Mæland told NRK. “It’s extremely important that we meet to go through various issues.” She stressed that Norway and Russia have maintained contact at the administrative level all along, and have continued to cooperate on issues such as the management of fishing stocks, search and rescue efforts, and environmental and nuclear safety concerns. Mæland, who represents Norway’s Conservative Party, was not, however, going along with calls by the Norwegian-Russian Chamber of Commerce to examine whether the sanctions against Norwegian are actually working. Chamber leader Liv Monica Stubholt, an Oslo attorney who formerly served as a state secretary for the Center Party in the last left-center government led by Labour, wrote in newspaper Aftenposten earlier this week that while the government has imposed the sanctions, it’s business and industry that pay the price of them. 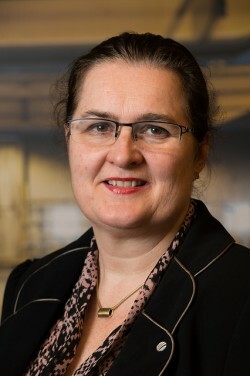 While restrictions can hinder money laundering, corruption and terror financing, Stubholt argued that trade sanctions have a negative effect “on what everyone wants more of, namely trade.” Stubholt, who has had an active business career within the energy and offshore sectors in addition to her political and legal career, claimed that the sanctions make business officials “involuntary pawns in international politics.” They also impose uncertainty and risks that are difficult to manage, wrote Stubholt, who has worked for such large Norwegian companies as Aker ASA and Aker Seafoods and has been on the boards of companies including Norsk Hydro, Varanger Kraft, Broadnet and Rosneft Nordic Oil AS. NRK reported that Mæland responded by snubbing Stubholt’s call, and vigorously defending Norwegian sanctions policies. “It’s important for us to be clear about sanctions policy,” Mæland said. “We are a small country with a large and powerful neighbour (Russia). Then it’s important, together with our friends in the EU and USA, to react to violations of the rule of law.” Norway, the EU and the USA still believe Russia is guilty of such violations through its annexation of Crimea and intervention in Ukraine. NRK reported that Stubholt seemed undaunted and still believes it’s time to re-think the sanctions: “We must be allowed to discuss whether the sanctions work.” She stopped short, though, of saying whether she thinks the sanctions should be lifted. “That’s up to the politicians to decide,” she said. There were few expectations that Thursday’s meeting of what’s formally called “The Norwegian Russian Government Commission for Economic, Industrial and Research and Technology Cooperation” will result in any measures that will prod new concrete cooperation between Norway and Russia. An agreement on seismic exploration for oil and gas on both sides of the two country’s border in the Barents Sea was due to be signed, but the meeting otherwise was viewed as mostly a symbol of some new willingness to start cooperating again. While there’s still some cooperation with the oil and gas industry, contact between Norwegian and Russian business remains at its lowest level for many years. Many officials on both sides also continue to be denied entry visas, as Russia maintains its grip on Crimea and the violent conflict in Eastern Ukraine continues.